For other people with the same name, see Markham. Admiral Sir Albert Hastings Markham KCB (11 November 1841 – 28 October 1918) was a French- born, British explorer, author, and officer in the Royal Navy. In 1903 he was invested as a Knight Commander of the Order of the Bath. He died in London, England at the age of 76. He is also remembered for designing the flag of New Zealand. Albert Markham was the fifth son of Captain John Markham, who had retired from the navy because of ill health with the rank of lieutenant. John Markham's grandfather, William Markham, had been Archbishop of York. Albert was born in Bagnères-de-Bigorre in the Hautes-Pyrénées department of France, where the family lived before moving to a farm on Guernsey. At age thirteen Albert was sent to London to live with his aunt, the wife of his uncle David Markham (Canon of Windsor from 1827 to 1853), at 4 Onslow Square. Neighbours included the explorer Vice-Admiral Robert FitzRoy and novelist William Thackeray. He was educated at home and at Eastman's Royal Naval Academy. Markham's father was short of money for his education and had for some time tried to find a naval officer willing to sponsor Albert for admission to the navy. He only succeeded in doing so after Albert had passed the normal entry age of fourteen, but by good luck the admiralty at that time had decided to experiment with accepting older cadets. His aunt's son Clements Markham, who was eleven years older than Albert, had also joined the navy before leaving to become a geographer and explorer. He became a lifelong friend to his cousin Albert and exerted a considerable influence on his career. When away from Clements and his wife Minna, who for much of his life he regarded as his only family, Albert was often moody, irritable and defensive. He had a strong sense of duty as a naval officer, which compelled him to serve with a strict adherence to rules and established practices, and strong religious convictions. He did not smoke, allowing that a gentleman might have an occasional cigar, but believing that cigarettes were for effeminate weaklings and that a black pipe ruined mind and body. He did not drink and disapproved of those who did. He found it difficult to socialise with other officers. He disliked the peacetime navy, with its endless social engagements, partying and ritual displays. Markham's family emigrated to the United States and John Markham bought a farm at La Crosse in Wisconsin. Albert visited them twice and he was unimpressed. He found the trains slow, the hotels disreputable, and travelling companions murderous. He was impressed by the wild grandeur and wildlife of the Mississippi Valley and was invited to hunt with General Mackenzie in Indian territory. Throughout his life he enjoyed hunting all manner of beasts. The only killing at which he showed disgust was the drawn-out deaths of whales, which he saw on Arctic voyages. 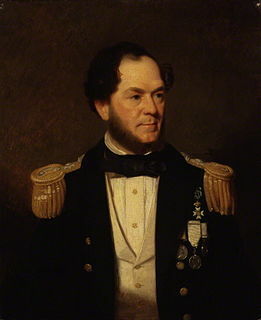 Markham joined the Royal Navy in 1856 at the age of 15 and spent the first eight years of his career on the China Station, travelling out in HMS Camilla and later serving on Niger, HMS Retribution, Imperieuse, HMS Coromandel and HMS Centaur. In 1868, Markham was appointed first lieutenant of Blanche on the Australia Station where he helped suppress "blackbirding", the illegal trading of slaves between Queensland and the South Sea Islands. This included time spent as an acting commander on Rosario. The issue was not straightforward, because the Queensland government was ambivalent towards the trade, which provided workers for its plantations. Some of the native workers were pleased to be travelling to Queensland, while others hated all white men. A bishop and three others were murdered in one incident, and Markham led a party to Nukapu to exact revenge, destroying a local village. Although Markham's actions were supposedly fuelled by his righteous indignation at an attack upon churchmen, he was criticised in parliament and the press for overreacting. The admiralty, however, approved of his actions. Markham himself found the work more worthwhile than the Mediterranean posting, although it meant he no longer saw Clements and Minna. In 1869 he submitted a design to George Bowen, the Governor of New Zealand for a national ensign for New Zealand. His proposal, incorporating the Southern Cross, was approved and remains in use to this day. On 1 November 1901, he was made Commander-in-Chief, The Nore, making him responsible for the defense of the port of London and of merchant ships along the East coast of Britain. He hoisted his flag on board the battleship HMS Edinburgh on the same day. He was promoted to the rank of admiral on 21 January 1903. Having been made a Knight Commander of the Order of the Bath on 9 November 1903, he retired upon reaching the age limit on 11 November 1906. At the outbreak of the First World War he offered his services to the Admiralty, but his services were declined. Instead, he worked for the next four years as treasurer for the Mine Sweepers' Fund. He had just finished some fund work on 23 October 1918 when he fell ill, and died two weeks before his 77th birthday. In 1879, he accompanied Sir Henry Gore Booth aboard the Isbjörn to Novaya Zemlya, a remote island in northern Russia. In 1886, he went alone to report on the ice conditions of Hudson Strait and Hudson Bay, a report which garnered thanks from both Houses of the Canadian Parliament. The ship which took him to Hudson Bay was his old ship Alert from the British Arctic Expedition of 1875-76, by then on loan to the Canadian Marine Service of the Department of Marine and Fisheries. "Archival material relating to Albert Hastings Markham". UK National Archives. ^ a b c d "Biography of Albert Markham at the National Maritime Museum". Archived from the original on 9 June 2011. Retrieved 19 November 2008. ^ "No. 23924". The London Gazette. 29 November 1872. p. 36. ^ "No. 24379". The London Gazette. 7 November 1876. p. 1. ^ "No. 25820". The London Gazette. 25 May 1888. p. 8. ^ "No. 26190". The London Gazette. 7 August 1891. p. 14. ^ Catalogue details for ADM 196/37, The National Archives, these records include Markham's service record (fee required to view pdf of original record). Retrieved 2008-12-22. ^ "No. 26885". The London Gazette. 24 August 1897. p. 2. ^ "Naval & Military intelligence". The Times (36602). London. 2 November 1901. p. 13. ^ "No. 27518". The London Gazette. 23 January 1903. p. 2. ^ "No. 27613". The London Gazette. 6 November 1903. p. 1. ^ "No. 27967". The London Gazette. 13 November 1906. p. 1. ^ Markham. Life of Sir Albert Hastings Markham. p. 252. ^ a b Markham. Life of Sir Albert Hastings Markham. p. 254. The Geographical Journal, Vol. 52, No. 6. (December, 1918). Royal Geographical Society. 1918. L. B. (1919). The Geographical Journal, Vol. 53, No. 1. (January, 1919). Royal Geographical Society. Richard Hough (1959). Admirals in Collision. London: Hamish Hamilton. Chisholm, Hugh, ed. (1922). "Markham, Sir Albert Hastings" . Encyclopædia Britannica. 31 (12th ed.). London & New York. p. 850. Admiral of the Fleet David Richard Beatty, 1st Earl Beatty, was a Royal Navy officer. After serving in the Mahdist War and then the response to the Boxer Rebellion, he commanded the 1st Battlecruiser Squadron at the Battle of Jutland in 1916, a tactically indecisive engagement after which his aggressive approach was contrasted with the caution of his commander Admiral Sir John Jellicoe. He is remembered for his comment at Jutland that "There seems to be something wrong with our bloody ships today", after two of his ships exploded. Later in the war he succeeded Jellicoe as Commander in Chief of the Grand Fleet, in which capacity he received the surrender of the German High Seas Fleet at the end of the war. He then followed Jellicoe's path a second time, serving as First Sea Lord—a position that Beatty held longer than any other First Sea Lord. While First Sea Lord, he was involved in negotiating the Washington Naval Treaty of 1922 in which it was agreed that the United States, Britain and Japan should set their navies in a ratio of 5:5:3, with France and Italy maintaining smaller ratio fleets of 1.75 each. HMS Victoria was the lead ship in her class of two battleships of the Royal Navy. On 22 June 1893, she collided with HMS Camperdown near Tripoli, Lebanon, during manoeuvres and quickly sank, killing 358 crew members, including the commander of the British Mediterranean Fleet, Vice-Admiral Sir George Tryon. One of the survivors was executive officer John Jellicoe, later commander-in-chief of the British Grand Fleet at the Battle of Jutland. Admiral of the Fleet Sir Algernon McLennan Lyons was a senior Royal Navy officer who served as First and Principal Naval Aide-de-Camp to Queen Victoria. Vice-Admiral Sir George Tryon was a British admiral who died when his flagship HMS Victoria collided with HMS Camperdown during manoeuvres off Tripoli, Lebanon. Admiral of the Fleet Sir Geoffrey Thomas Phipps Hornby GCB was a Royal Navy officer. As a junior officer, he saw action at the capture of Acre in November 1840 during the Egyptian–Ottoman War. As a captain he arrived at Vancouver Island with a naval brigade and found that a unit of American troops was about to take over the San Juan Islands in a dispute known as the Pig War: he used his powers of diplomacy to facilitate a peaceful handover of the islands to the United States. Admiral of the Fleet Sir William Henry May was a Royal Navy Officer. As a junior officer he took part an expedition to rescue Commander Albert Markham who had got into difficulty trying to reach the North Pole via Smith Sound, the sea passage between Greenland and Canada's northernmost island, Ellesmere Island. Admiral of the Fleet Sir Gerard Henry Uctred Noel, was a Royal Navy officer. As a junior officer he commanded a naval brigade which took part in the capture of Kumasi in February 1874 during the Second Anglo-Ashanti War. Rear-Admiral Sir Edward Fitzmaurice Inglefield, KBE (1861–1945) was a Victorian Royal Navy officer and later secretary of Lloyd's of London. He gave his name to the Inglefield clip, a device he patented in 1890 for quickly attaching signal flags. Admiral Sir Henry Frederick Stephenson was a Royal Navy officer, courtier, and Arctic explorer. Admiral John Markham, was a Royal Navy officer. As a junior officer he served in the American Revolutionary War. He commanded the third-rate HMS Hannibal in the action of 10 April 1795 and then the third-rate HMS Centaur, capturing a French frigate squadron in the action of 18 June 1799, during the French Revolutionary Wars. He went on to be a Lord Commissioner of the Admiralty and First Naval Lord under Earl St Vincent. He also served as MP for Portsmouth. Vice Admiral Sir Hugh Martell, was a Royal Navy officer who served as Admiral Commanding, Reserves. He is best known for his part as commander of Task Force 308 in Operation Mosaic, the series of British nuclear tests in the Monte Bello Islands in Western Australia in 1956.